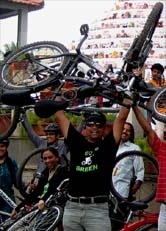 GoGreen Campaign Ride on 02 May 2010 (Towards Malleshwaram) - GGI-Group size: 4000+ Professionals, Increasing on day to day basis, Come & join us 2 serve Mother Nature. 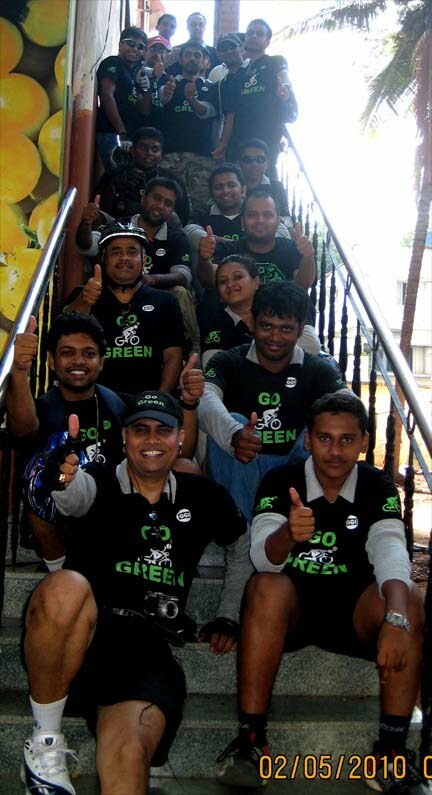 Totally 28 GGI participated on 02May10 GoGreen Campaign Ride, We started of by 6:45am sharp from JP Nagar & Jaynagar Cross roads Apple/Reliance Istore junction and reached Cubbon park by 7:15am. This week we had not planned any place hence decided to go out for a brake fast joint.. Veena Stores (Famous Break fast Joint @ Malleshwaram junction). We had 8 newbies GGI's in the team from various places. Started off by 7:55am Rajaram & Timm's turned back the rest of the people headed towards Malleshwaram. 02may10 Break fast was sponsored by Kumaran. Every one of us has a blast on Iddly, Vada, Shaveghee Bath & Kara Bath. 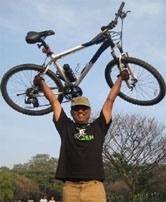 Reached back to I stores by 9:45am..
City Library - High Court - Vidhan Soudha - Raj bhawan- Chalukya Hotel - Golf Court - Windsor manor under flyover - Cavery Theater - Sanky Tank - Malleshwaram Veena Stores junction. Newbies names starting from left to Right. 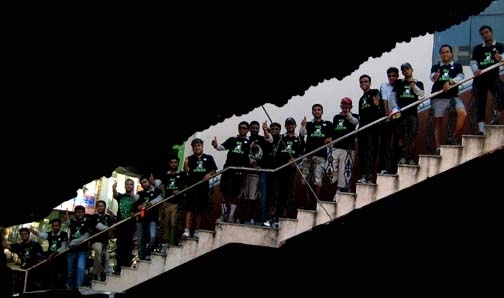 5)Karthik from BaswanGudi 6)Vinay from Baswan Gudi 7)Someash from HSR Layout, 8)Kaushik from RajajiNagar. Names reading from Left to Right. Rear side Row : Vinay, Naveed, Timm's, Rajaram, Mani, Shantu, Nagashree, Srikanth, Sri,Bharath. Vasant Kumar, Padmani, Mj. Dr. Srinivas, Renu Kumar, Kumaran & Ranjith. 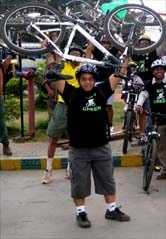 (He did his fastest ride frm Bangalore to Ooty in 1 day) champion..